Communism, A Paradise that never was ! Petrograd ,November 1917 ,one a cold foggy morning a huge crowd composed of all age groups has gathered infront of the infamous Winter Palace where the Tsar monarchs used to reside. The zeal and zest of the crowd is unprecedented. Faces are glittering with a happiness of the highest magnitudes and not a moment goes without slogans. For Manov Makhail , it is a normal day. As a priest in the nearby church , He has just left the church for his home with the Bible in his armpit.Not much aware of the events taking place in the city , he fails to make much sense of the crowd infront of him. All what he knows is that a revolution is gearing up in the city but the rest of the details are of no interest for him. In this state of incredulity , he decides to join the crowd artlessly hoping that Jesus might praised by the zealots , as it had been the case in every revolution that Jesus was remembered. When he fails to see any signs of acknowledgment of Jesus from the crowd , he starts raising the slogans of Jesus himself alone. His voice does not match with the chorus of “long live communism , death to religion , death to Capitalism”. The crowd was waiting for Vladimir Lenin , the Messiah of communism. A girl standing nearby the priest is the first to notice him. It was as if she was just waiting for the moment. She immediately starts kicking the poor priest and soon he is lynched to death by the crowd. Pages of bible lay shattered on the ground. The crowd gets further motivated and starts chanting “god of the wrath is dead , welcome the communist brotherhood”. After all new gods were out there in the market and everything new has a certain attraction and preference over the old one. Karl Marx , who before selling his own opium to the masses had called religion to be an opium of the masses , was all set to serve as the new god and Lenin , who had given his ten commandments in his “April thesis” was a perfect candidate for serving as the prophet of Marx. Things were all set to capitalize on the fragile moments. The crowd was eagerly waiting for the new religion as well. The biblical god had become too old to serve as the deity and he was much of an unpleasant character as well. His attribute of being “god of the wrath” was long criticized and deplored. But little did the crowd which had gathered infront of the Winter Palace and everyone else who lived in that era knew that soon the “god of wrath” was about to manifest himself in the strangest way and the wrath was going to be unmatched this time.The idea of communism was first properly tabled by the German Philosopher Karl Marx. The basic pretensions of the theory are much simple. It proposes a society which shall be free of any class system. The production of the society shall have a common ownership and individual ownership shall be discouraged. The peak of such a communist society shall be a financially uniform society in which there shall be no capital at all. This was the paradise which Marx dreamed of and the the first proper experiment of erecting this paradise took place in Soviet Russia after the people fed up of the last of the Tsar kings , Nicolas Tsar , threw him out in 1917 and later executed him along with his family. It was precisely this Communist utopia or paradise which the crowd gathered infront of the Winter Palace was eagerly dreaming of. The economical aspects of Communism are of no interest to me and they are not much relevant in this age to any intellectual urgency either. Communism soon became something more than a mere theory of economics and that “something more” enters the troubled imagination of every person till this day. Karl Marx portrayed Communism to be a theory of society not a theory of economics only. Communism to achieve its goals requires a certain kind of social metaphysics. As it makes an appeal to the materialistic needs , it needs a naturalistic and materialistic explanation of everything that governs a society. It was under these influences that in 1873 , Karl Marx sent a copy of his Das Capital to Charles Darwin who had already printed his Origin of Species. Russian 1931 , The dream of Marx has actualized itself. The Communist Party of Russia is the sole authority of power in the country. Joeseph Stalin , the premier of Russia , has replaced the long hated god. Marx had inducted Darwinism into the moral calculus of the Communist paradise and now he alone hovers on the moral landscape of Russia. Churches are being demolished and priests are being killed like anything. Joseph Stalin , having succeeded in eliminating by killing the landlords was moving towardsCollectivization. The farms had to be gathered and the peasants were to work on collectively on such collective farms. The peasants could not get a good amount from their first year of experiment and they started to refuse to work in collective farms. 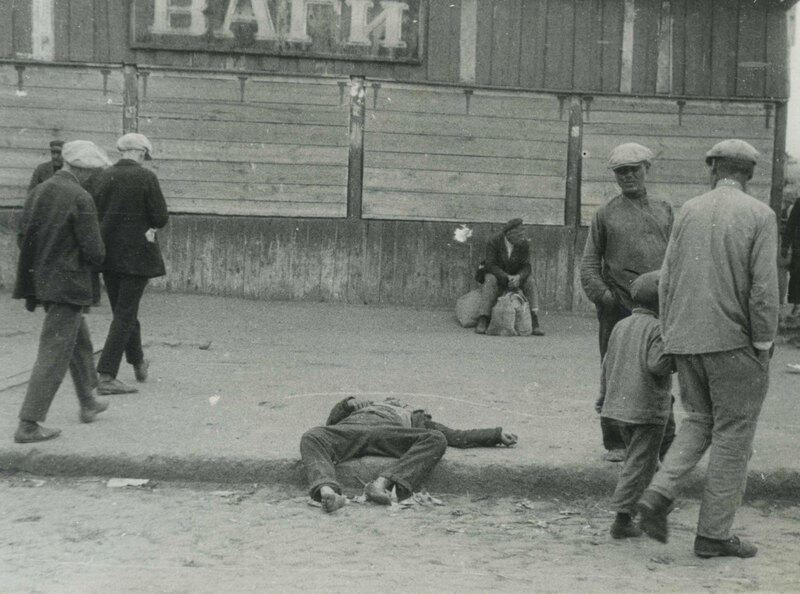 The uprising of the Ukrainian nationalism , which the poor peasants sought out as a way to escape , was a further factor after the refusal of the peasants to work in collective farms to displease Joseph Stalin. What happened next is the darkest and bloodiest chapter of the human history. A historian records it as bellow. 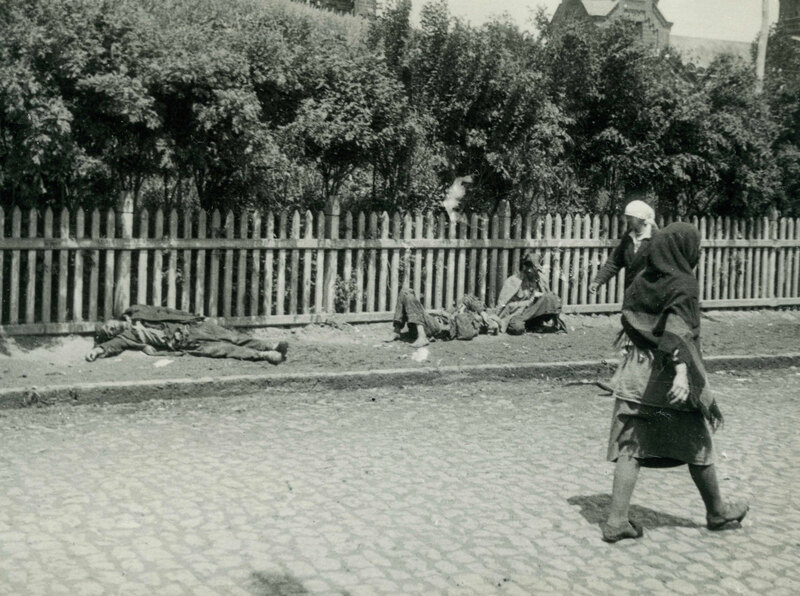 By the end of 1932 , people living in Ukraine and the rest of the Soviet republic had started dieing of starvation. Joeseph Stalin had inflicted people with the worst famine of the previous century. He ordered the Commun stores not to give ration to the peasants and thus a man made famine was installed to punish the people. The coming months added to the miseries. Russia had the worst winter that year and coldness added to appetite. Having nothing to eat , people started eating babies. Soon the Cannibalism became a widespread phenomena. Some 2500 cases of Cannibalism were registered. Around 11 million people died of this man made famine known as Holodomor which means Perished by hunger. The God of the wrath had appeared. Joeseph Stalin had to kill Seven million more before he breathed his last on the 1st of March 1953. The next to join in as god was Pol Pot who tried to implement Communism in Cambodia. Just like Stalin , he was a frank atheist as well. Pol Pot led The communist Party of Kampuchea in Combodia. The blood of some 3 million people is at his hands and most of them were people of the lower classes , to whom the promise of the Communist paradise had been made. Millions were killed by the Chinese Mao , the Afghan Noor Muhammad Tarakai and Hafizullah Amin , Nicolae Chachescue of Romia. Round about 90 million people had to die at the hands of Communists before it was realized that the paradise never was. The list of atrocities caused by the atheist communists is endless and a bit of research on it shall further reveal the sordid face of the Communist Atheists of the previous century to the readers. The question however remains that what essentially went wrong in the moral calculus of that era when all these crimes were undertaken so shamelessly. It is very much likely that some very bad and lethal mutation had taken place in the moral body of the humans living then. Is Atheism and social Darwinism so poisonous? Who can count the calamities of the past century and forget the Nazis? The most remarkable expression related to social Darwinism came from them. Adolf Hitler had a huge program of eugenics in his mind based on Darwinian concepts of diversity. His goal was to resurrect the noble blue eyed long legged Aryan race which he deemed to be the fittest and hence the only to deserve to survive. Richard Weikart has a whole book on this issue , titled as From Darwin to Hitler:evolutionary ethics ,Eugenics and Racism in Germany. There he writes “A sinister current of influence ran from Darwin’s theory of evolution to Hitler’s policy of extermination. A generation of German biologists had read Darwin and concluded that competition between species was reflected in human affairs by competition between races”. The Nazi propaganda films of that era when the blood was being shed by the Nazis , most of their films will start with this passage. “in the last few decades mankind has sinned terribly against the law of natural selection. We have allowed the weak to live.” We have sinned against the law of natural selection? Read this line a few times till you absorb the tremendous amount of brutal imbecility embedded in the line. Such lines despite their ignoramus nature , come quickly. The Darwinian argument is simple.Human being is the carrier of certain traits just like the rest of the animals. Humans have been favored by nature that they have made their way to the fittest. There is nothing wrong if you kill the ones whom you feel to be weak in this competition , as after all , such preying goes on round the clock in the animal kingdom. The conclusion is inevitable if the premises are endorsed. Stalin , Hitler , Maow , Pol Pot et al endorsed the premises wholeheartedly and the the conclusion followed inevitably. These lines of Steven Pinker are of a splendid stupidity. All one can say is Good Luck though. A few years before the monster was unleashed , Mathew Arnold in 1851 was hearing its footsteps. Standing on the “Dover Beach” he said something in a fatidical tone.